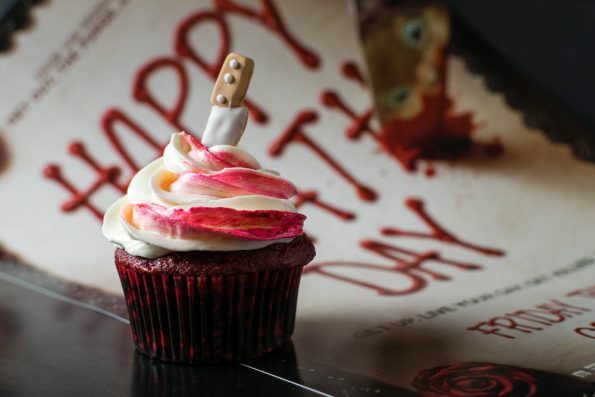 It seems like lately all of our horror recipes have been desserts. We created a recipe for IT, we’re currently working on a couple of recipes for Saw and Jigsaw, and now this one. Rest assured that other more savory horror themed recipes are coming! 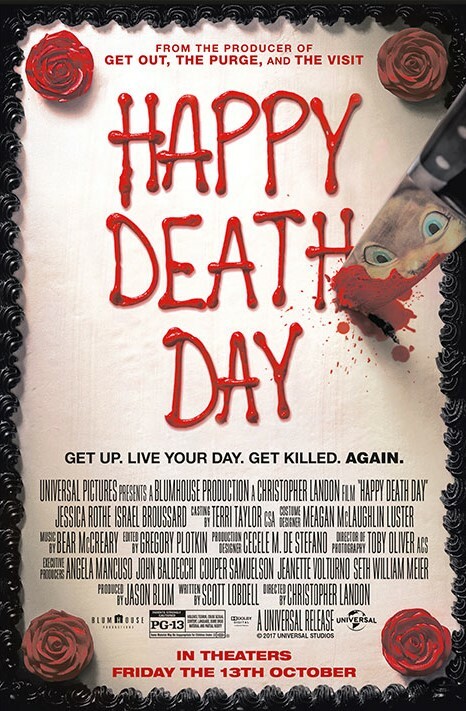 That being said, when it came to creating a recipe for Happy Death Day, we knew right away that cake or cupcakes would be involved. Aside from Paranormal Activity: The Search for Katie you haven’t done much, if any, horror writing, why now? Hmm… I don’t know, I did write Buffy The Vampire Slayer for Dark Horse for a year and even some KISS comics. And there are people who were horrified by my run on Teen Titans — does that count? I just like to push myself a little each time I sit down to write a story. A horror movie was something I had never done before so I thought it would be interesting. What was the inspiration behind Happy Death Day? I figured if I was going to write a horror movie I wanted to upend expectations of what a horror movie usually does. We almost always kill the mean girl in the beginning and leave the good girl to fight off the killer alone in the finale. I thought “Hmmm. How can I make the Bad Girl and the Good Girl one and the same?” So that is where I started. Are you currently working on or have plans to work on any other horror projects? Oh absolutely! I have two scripts right now I am finishing at once: they are both “like” Happy Death Day only in that they push the envelope of the traditional horror movie. What is your go-to food to cook? Why? I boil a lot of ground chicken (I’m eating it right now!) and slather it in Garlic Expressions classic vinaigrette! Because it is so gosh darn yummy! It’s a little macabre, but what would your final meal be? Our Death Day Cupcake recipe creation was heavily influenced by the film’s poster. We thought that rather than making a cake, we’d try our hand at cupcakes. Keeping with the theme of the movie, we went with red velvet filled with strawberry jam. This creates a kind of gorey look but still tastes delicious. We also learned that making your own buttercream frosting not only tastes better, but is ridiculously easy. We may never buy it premade again! 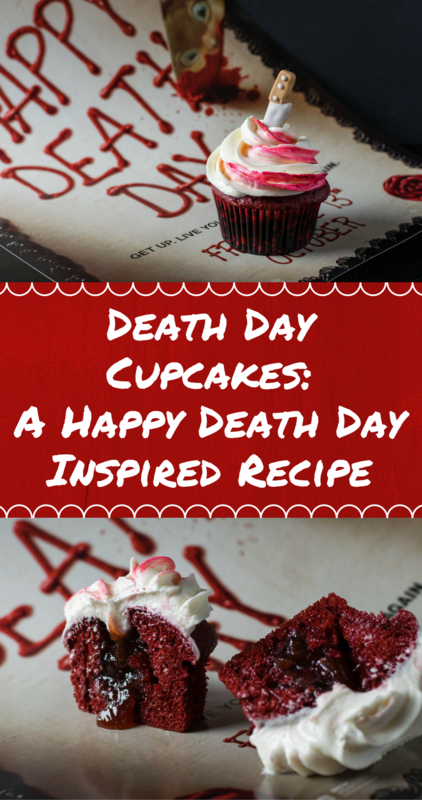 We hope you enjoy our recipe for Death Day Cupcakes! Nowhere is your chance to see the movie before the crowds! We are giving away four pairs of screening passes for an advanced showing of Happy Death Day! The showing will be held at Harkins Arizona Mills on Tuesday, October 10th. The screening starts at 7 pm and the winners should arrive at 6:15 in order to guarantee their seating. Winners will be selected on Monday, October 9th. Good luck! Prepare cupcakes and let them cool. While cupcakes cool, prepare frosting. Using an apple corer, core cupcakes being careful not to go all the way to the bottom. Fill the cupcakes with 1 tbsp of jam. 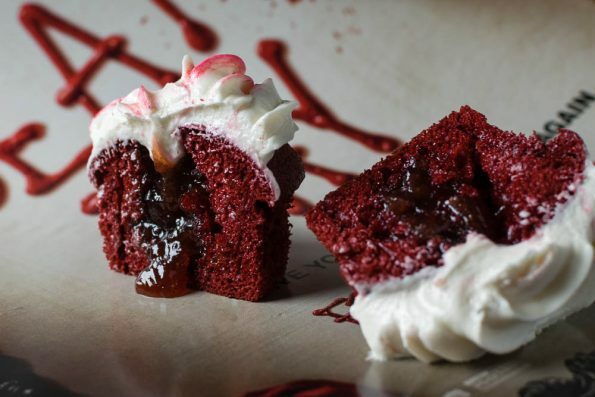 To get the "blood" swirl in the frosting, drip red food coloring down the side of your piping bag before loading it with the frosting. Pipe frosting to cover the core of the cupcake and top with a knife garnish. How creative you are with naming of your recipes. Love scrolling through other fun recipes too.